Dog insurance : a good deal ? Or a rip off ? When it comes to our dogs, my wife and I will spend whatever it takes to give them the best medical care possible. Like so many other people today, we consider them to be members of the family. Our dog, Jack, has his own ophthalmologist. A few years ago, he needed a series of laser surgeries to treat a bacterial infection in his eyes. The bill came to $5,000. Veterinary specialists can do some amazing things these days, from open heart surgery to cancer treatment, if you can afford the price tag. A recent survey by the Associated press found that a significant number of pet owners (41 %) are extremely or somewhat worried they could not afford the medical bills for a sick cat or dog. Is insurance the answer ? When people ask me that question my answer is always the same : it depends. Buying dog health insurance is both an economic and an emotional decision that needs to be based on your personal financial situation and what you’re willing to pay for peace of mind. “If you get the best pet insurance for dogs policy, it can be an asset to the health care of that pet and have a significant impact on the bill that results from a visit in an emergency situation” says veterinarian Jean Maixner, co owner of Animal critical care & emergency services in Seattle. “Some people can’t afford the treatment so they ask us to euthanize their dog. It’s absolutely horrible”, Dr. Maixner says. “If people had acquired pet insurance for dogs before the emergency occurred, they might have been able to move forward with some reasonable treatment to help their pet”. Consumer groups have a different take on insurance for dogs. Robert Krughoff, president of Checkbook.org, says “it doesn’t make sense” in most cases. “It’s common to pay $300 a year or more for dog insurance cost. Over the life of a dog or cat that might be $5,000 or more. Most people are not going to have a big expense like that”, he says. For its August issue, Consumer reports compared the cost versus payout of nine pet policies for Roxy, a healthy 10 year old beagle who lives near the magazine’s office in Yonkers, N.Y. Roxy’s lifetime vet bills have totaled $7,026 (in current dollars). In every case, the total premiums that would have been paid to those insurance companies were higher than Roxy’s medical bills. When the editors gave Roxy a few hypothetical medical problems to boost her vet bills to $12,685, five of the nine policies would have paid out more than they cost. “Our conclusion is that for a generally healthy animal this pet insurance for dogs is probably not worth the cost”, says senior editor Tobie Stanger. Consumer reports believes it makes more sense to put a couple of hundred dollars into a household emergency fund each year for serious pet health issues. Both Consumer reports and checkbook advise against buying dog insurance plans to cover routine wellness care. They say this is an expense you should be able to cover on your own. And I agree. “It’s just crazy to pay an insurance company to just turn around and pay the vet”, says Checkbook’s Robert Krughoff. “Why not pay the vet directly and avoid all the overhead and sales costs from the insurance company”. Are consumer advocates barking up the wrong tree ? Pet insurance companies argue that it’s impossible to tell if your furry friend will be healthy or have a serious illness or accident during its lifetime. “If you’re independently wealthy, you can roll the dice”, says Darryl Rawlings. Rawlings tells me one in 10 people who are insured by his company make a claim for their pet every month. He says some customers get back 500 to 700 percent more than they’ll pay for premiums during the life of their pet. Tiffany Schumacher of Redmond, Washington, has a dogs insurance policy. She pays $55 a month to cover Klover, her 1 year old Burnese mountain dog. She says the insurance means she doesn’t have to worry about getting Klover the best medical care. “You never know what they’re going to do”, Tiffany says. “You don’t think your dog is going to eat tennis balls”. But that’s just what Klover did last year. She ate a bunch of tennis balls. The surgery to remove them cost $2,700. Trupanion paid $2,332 (90 percent of the covered costs). Recently, Klover had emergency surgery for other intestinal and stomach problems. The bill was $6,980. Tiffany’s out of pocket expenses were just $1,050. Best dog insurance policies vary greatly from company to company, read some online dog insurance reviews. The only way to know what you’re buying is to get a copy of the policy and see what’s covered, and more importantly, what’ not. “Look very carefully at the fine print so that you’re not surprised when you file a claim and find that it’s denied,” advises Consumer reports editor Tobie Stanger. – is there a physical exam required to get coverage ? – is there a waiting period ? – what percentage of the bill do they pay, after the deductible ? – are payments capped in any way ? – are there co pays ? – does the plan cover pre existing conditions ? – what about chronic or recurring medical problems ? 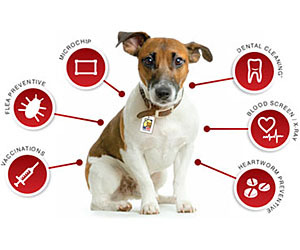 – can you choose any vet or animal hospital ? – are prescription drugs covered ? – are you covered if you travel with your pet ? – does the policy pay if your pet is being treated and dies ? – most policies do not cover congenital or hereditary conditions. If you love your dog and you don’t have the money to cover an emergency medical situation that could cost thousands of dollars, I think you should consider dog insurance. You’ll get the lowest price if you buy when the animal is young. Remember, insurance is designed to cover you from a catastrophic financial loss. So choose the highest deductible you can reasonably afford. That will help lower the monthly premium. The bottom line : if you buy dog insurance and don’t use it, consider yourself lucky. But with pets living longer these days, your chances of using the policy are greater than ever.